Dr. Somervell Memorial CSI Medical College established in 2002 is attached to the Dr. Somervell Memorial Mission Hospital established in 1894 at Karakonam, a village, in the southern border of the Thiruvananthapuram District of the State of Kerala. 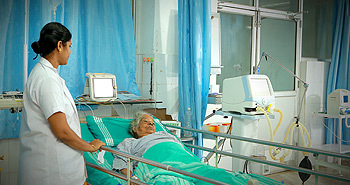 The Hospital, the Medical College and all other institutions attached are run by of the Church of South India - South Kerala Diocese and managed by the South Kerala Medical Mission. The South Kerala Medical Mission is a Charitable Society registered under The Travancore - Cochin Literary, Scientific and Charitable Societies' Registration Act XII of 1955 (S.No 27/76 of 1955).